Philippine Society of Information Technology Educators Foundation, Inc.
Greetings from the Philippine Society of Information Technology Educators Foundation, Inc. (PSITE -Region XI Chapter). 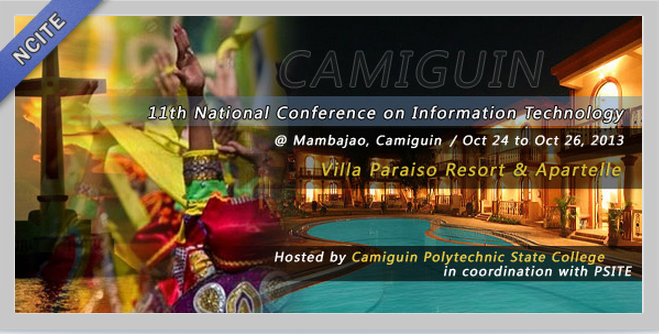 The Mindanao Conference on Information Technology Education (MCITE '07) is fast approaching. As we have mentioned before this will be on September 20-21, 2007. The final venue is at Rm F213 Finster Building, Ateneo de Davao University, Jacinto Campus, Davao City. Please confirm your attendance directly to me (rsgamboa@gmail.com). Only confirmed participants will be ensured of complete conference kit. See you all in Davao City. gud day! 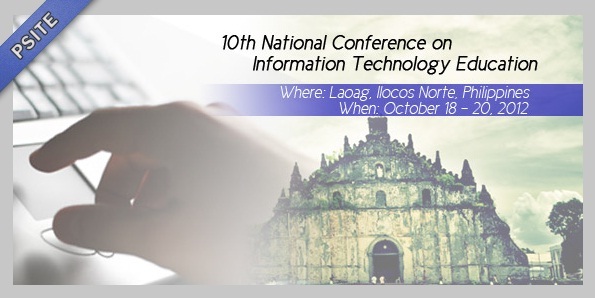 we would like to know f d MCITE '07 s open to all IT educators. coz wer nterested to join. i would appreciate much f u will email me with dis address dmt_sweet0330@yahoo.com. yes it is.. we would appreciate if you could inform dr. gamboa from what school are you and who will be attending with you.